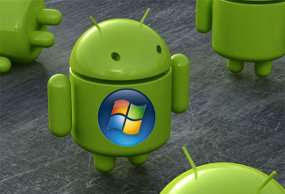 Patent licensing agreement between Microsoft and the manufacturers of Android phones increased. Microsotf signed a new agreement with LG Electronics. Thus, Microsoft could even richer from the vendor. This agreement covers mobile phones, tablets and other LG consumer products based on Android or Chrome in which include elements of Microsoft's patents. But Microsoft did not explain the details contents of their agreement. "We are satisfied with the agreement that builds on a long-standing relationship with Motorola. Together with our previous 10 agreements with device manufacturers Android or Chrome, it means more than 70 percent of Android smartphones sold in America are in Microsoft's patent portfolio," said Horacio Gutierrez as well as the Corporate Vice President Deputy General Counsel, Intellectual Property Group at Microsoft. HTC, Samsung and Acer is the first row of vendors that an agreement with Microsoft. In addition, there are many more other vendors such as ViewSonic, a Taiwanese company Compal and others. Reported by Cellular News has since launched a licensing program in December 2003 Intellectual Property, Microsoft has reached more than 1,100 licensing agreements. Microsoft's license agreements with several vendors making Google Android furious. Some time ago Google had cast accusations that Microsoft is squeezing its business vendors to support its smartphone Windows Phone that is not growing. Because, in agreement with the vendor of gadgets Android, Microsoft reportedly received payments ranging from USD 50-10 of every gadget sold. That's because Android gadgets claimed to have been created using Microsoft's patent. So you can imagine, how the flow of funds acquired by Microsoft that? Moreover Android gadgets are now so popular, and many vendors are adopting it. No wonder Google furious with Microsoft.